The holidays are just around the corner, which means that you’ll likely be entertaining guests, whether you plan to host just family or you want to have a large gathering with friends. You’ll want your home to look its best to make the holidays a little brighter. Ensuring that your home looks good will also ease some of the stress you’ll be feeling around the holidays since you’ll know that you are presenting your best to guests. Tile is a popular choice for floors and for surfaces in kitchens and bathrooms because it resists most damage from water. However, tile and grout are not impervious to damage from liquids, including nasty staining. You can avoid these issues if you clean up spills as soon as they happen. If water or other liquids are allowed to sit on the tile or grout, they can attract dirt and soak into the pores in the surface. It can be very difficult to get these stains out of the tile or grout once this happens. The easier way to deal with the issue is to get up the liquid before it has a chance to cause this problem. Constant foot traffic, spills, and other activity can stain tile and grout over time and cause other damage. You can protect your floors, at least, by putting down some rugs and mats. You don’t have to cover the entire floor – that would defeat the purpose of having beautiful tile floors! – but you should consider putting the rugs and mats in locations where you get the most traffic or are likely to have the most spills or other mishaps. A little dirt and dust aren’t really any match for tile. However, when the dirt and dust accumulate over time, or when they get ground into the tile and grout from foot traffic and other activity, they can be quite damaging. They can cause scuffing, light scratching, and even staining. The best way to protect your tile and grout – and to keep them looking great – is to sweep or vacuum your tile floors regularly. Even if you aren’t concerned about the damage, regularly sweeping and vacuuming will just make your floors look cleaner and nicer. Tile shows dirt a lot more readily than carpet does. Even with regular attention, your tile and grout can still start to look a bit dull or discolored over time. You just can’t get out all the dirt and debris when you are cleaning, and you can’t prevent all accidents. That’s why you need to have your tile professionally cleaned in Phoenix on a regular schedule. Professionals use a multi-step process that includes the appropriate cleaning solutions, pressure washing, and high-powered extraction to remove dirt and debris that can settle deep in the pores of the tile and grout. You should follow up the cleaning by sealing your grout to provide a protective barrier against new dirt or dust settling in. If your grout has become really discolored, you can hire tile professionals to re-color it, giving it a brand-new look. When you are hanging the garland and putting up the Christmas lights, make sure you are doing some winter-time cleanup to get your house sparkling for the holidays. Your tile and grout can take a beating over time, so you’ll need to pay special attention to them, especially on flooring. Use these tips to keep your tile and grout looking great, and call in the professionals to help you get that added sparkle. 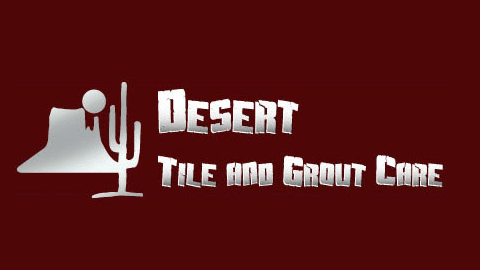 Desert Tile and Grout Care offers professional tile and grout cleaning in the Phoenix Valley Area for residential and commercial properties. We can work with all tile types, including Travertine, Mexican tile, ceramic, and marble, and we handle floors, walkways, patios, walls, and more. We can also clean your brick or stone. Call us today to get an estimate or to schedule your cleaning. Restore your dull tile or stone and make your home look beautiful this holiday season!